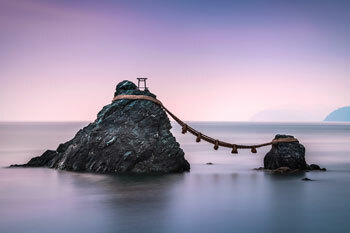 Capital of Japan's smallest prefecture (Kagawa), Takamatsu is nonetheless Shikoku's second largest city (pop. 330,000). 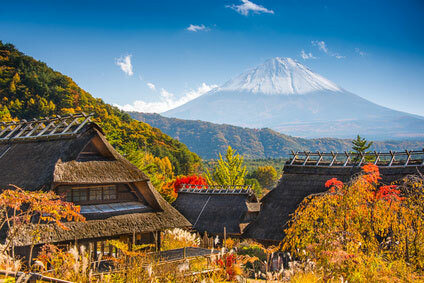 The main attractions are the Ritsurin Garden, one of Japan's finest, and the Shikoku Village, an open-air architectural park with traditional wooden buildings dating from the 16th to the early 20th centuries. 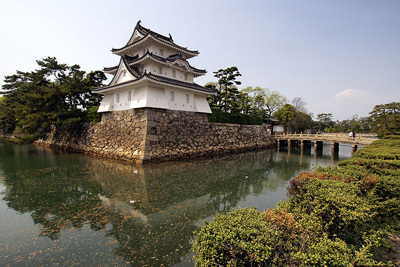 Takamatsu was formerly known as Sanuki in feudal times, and so was the province now encompassing Kagawa prefecture. 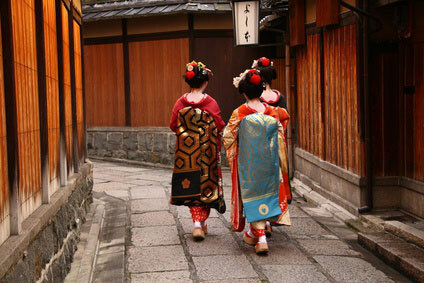 Sanuki was founded in the late 16th century as a castle town. The Ikumo clan were established as the first lords under Toyotomi Hideyoshi, but were replaced by Matsudaira Yorishige under the Tokugawa rule. 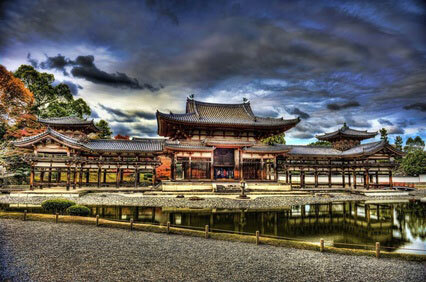 Eleven successive Matsudaira lords ruled over the city for 228 years, until the Meiji Restoration. The current castle, next to Takamatsu and Kotoden stations and ferry terminal, is a modern reconstruction. 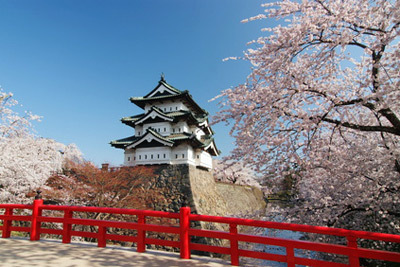 The castle grounds were reduced to 1/9 of their original size, and renamed Tamamo Park in 1955. 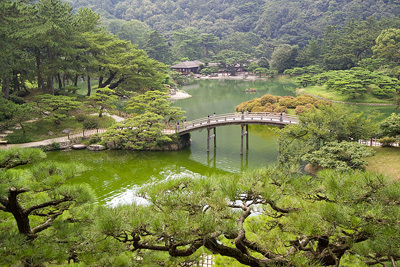 The pride of Takamatsu is less its castle than its superb Ritsurin-koen Garden (￥350, open from sunrise to sunset). 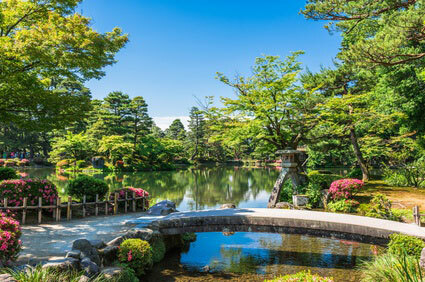 It is considered one of Japan's finest garden, along with the "big three" : Koraku-en, Kairaku-en and Kenrokuen-en. 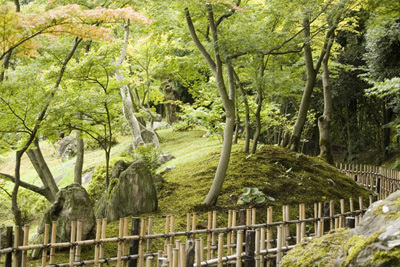 The garden took over a century to complete from the time it was first laid in the mid-1600's. 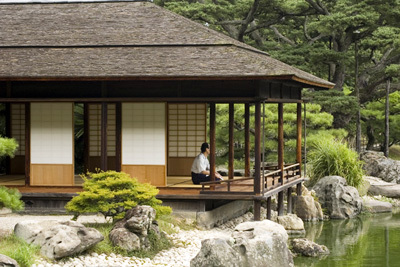 It has several original teahouses, including the Kikugetsu-tei or "Chrysanthemum Moon Teahouse", which offers visitors green tea and Japanese delicacies for ￥510. Ritsurin Garden is located about 2km due south from Takamatsu station, along the Chuo-dōri Avenue (don't mistake it for the small Chuo-koen Park, half way). 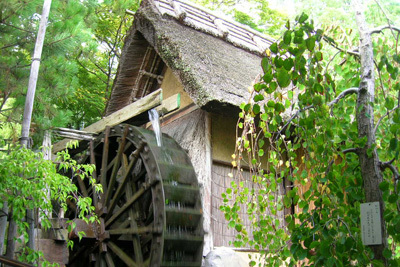 The Garden also host the Sanuki Folkcraft Museum. 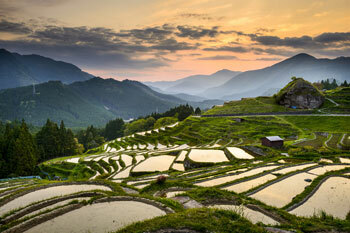 The other big attraction of Takamatsu is the Shikoku Village, in the suburb of Yashima. 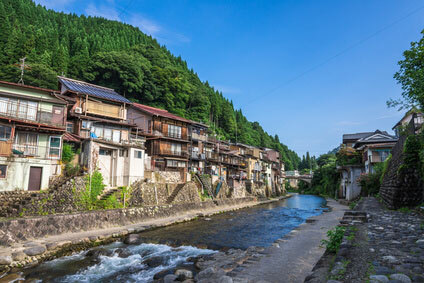 It is the same concept of the Nihon Minka-en in Kawasaki, a village of traditional country houses dismantled from their original location and reconstructed in a park for tourists. 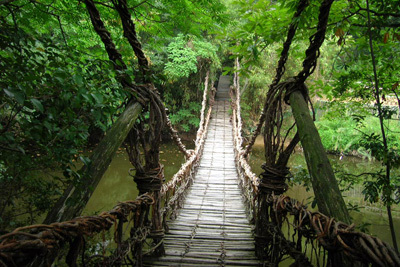 This village could have been dubbed "Jungle Adventure Land" as its vegetation reminds of a tropical rainforest (at least in the summer months), with huge butterflies, cicadas and mosquitoes, little streams, rocks, bamboo groves and even a replica of the Iya Valley's famous vine suspension bridge. To get there, take the Kotoden train to Kotoden Yashima (琴電屋島) from Kawaramachi (瓦町) station in central Takamatsu (15min, ￥240). Then walk toward the prominent Yashima Plateau, and turn right at the cablecar station. The easiest way to reach Takamatsu is from Okayama, which on the shinkansen line between Northern Kyushu and Northern Honshu, via Osaka, Kyoto, Nagoya and Tokyo.The JR Marine liner makes the journey in 55 minutes (￥1,470). Coming from Kochi, the JR Shimanto takes a bit over 2 hours to Takamatsu (￥2,660). From Matsuyama, the JR Ishizichi takes 2 hours 20 minutes (￥3,400). From Tokushima, the JR Uzushio reaches Takamatsu in 1 hour 10 minutes (￥1,410). Long-distance buses are the cheapest way to get around Shikoku and the Sanyo coast. Iyotetsu has buses to Matsuyama (2h15min, ￥3,900), while JR Shikoku travels to Osaka (3h, ￥3,600) and Hiroshima (3h30min, ￥4,000). Takamatsu airport is 35min from the city center (￥750 by bus) and flights connect it to Sendai, Tokyo (Haneda), Kagoshima and Okinawa.